' Jayam' Foundation is a tiny organization Registered Under Section 8 ( 1) of the companies act 2013 working in the fields of 'Environment and 'Rural Health'. 'Jayam' is the brainchild of Late Shri. Jaikumarji Tibrewala and executed through the passion, strenuous efforts and vision of Shri. Manoj Tibrewala. Within the shorter span of just above two years of its inception, 'Jayam' has done a pioneering work in the field of sustainable environment and rural health. Jayam has committed itself to the cause of "Sustainable Environment and Rural Health". As the volume of the above mentioned fields is so high that the Foundation decided to classify and choose the categories as to work in. So we have confined ourselves to 'Tree Plantation' in Sustainable Environment and 'Supply of Purified Water (R.O. Plants Installation )' as far as rural health is concerned. The core purpose of the R. O. Plant is to make Gram Panchayat self sustaining. Self sustainable Gram Panchayat was the dream of Mahatma Gandhi. It has been also incorporated in the Indian Constitution through the 73rd Constitutional Amendment. What is a Self - Sustainable Gram Panchayat ? In the eyes of the Foundation, a self sustainable Gram Panchayat is one that does not need external resources to carry out its developmental activities. However, the demanding circumstances and the meager grants and resources' Available with the Gram panchayat do not fulfill the needs of the rural folks. It needs a 'push'. 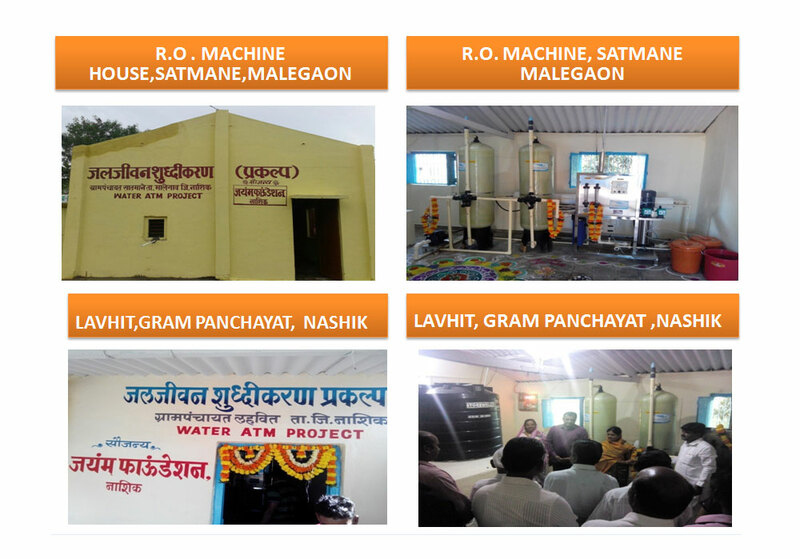 Jayam Foundation has taken upon the responsibility to give that vital push towards the self sustainability of the Gram Panchayat through the R. O. Plants. The purified water is provided to the rural families at a cost that is easily affordable to them. It is five rupees per twenty liters. 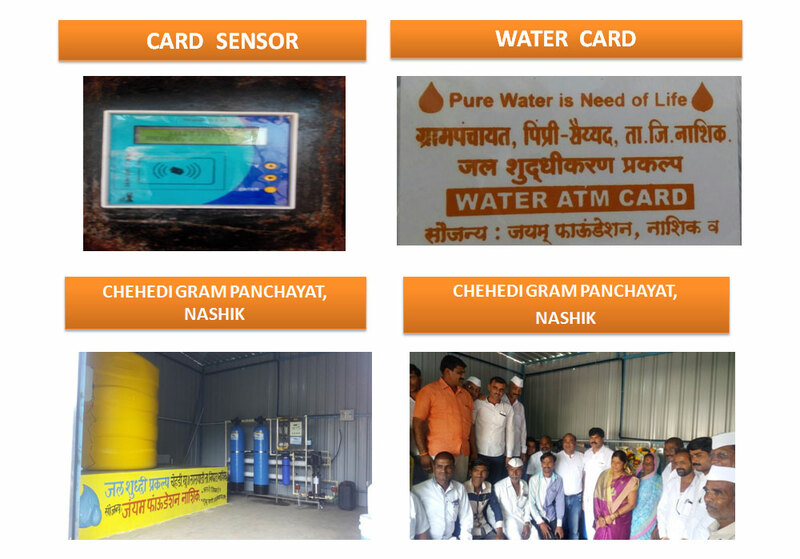 Every household that wants purified water needs to subscribe for and withdrawal Card. It is a prepaid card. The household can recharge it for as many times as it wants – and as much amount as it wants. The revenue that is generated out of this recharge is again either put back into the maintenance and up gradation of the plant itself or into any other welfare activity. This decision lies solely with the concerned Gram Panchayats. The Foundation has nothing to do with the amount of the revenue. 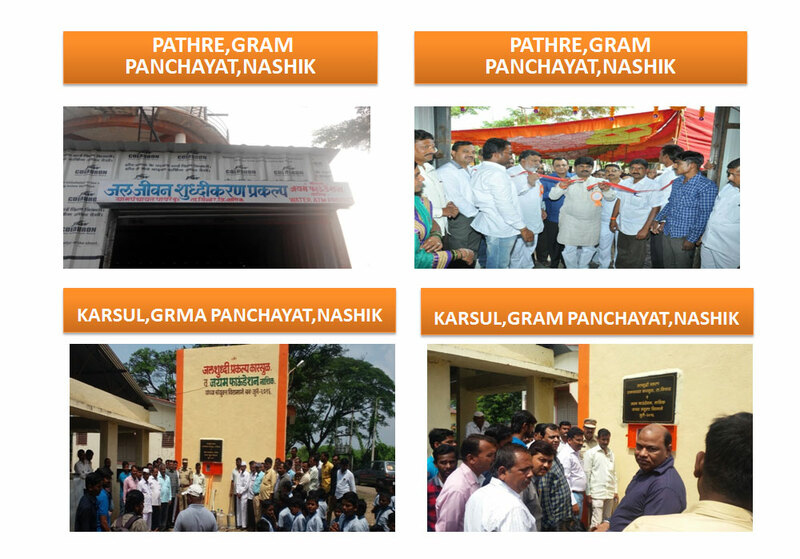 The foundation's mission of empowering the Gram Panchayats does not stop here! It goes one step further. After the successful running of the project for one full year, the foundation initiates vocational training for the unemployed youth of the village depending upon the local needs. The courses will include Basic Tailoring, Mobile Repairing and Electrical Wiring or any other vocational courses that suit the foundation and demanded by the Gram Panchayat. This initiative is really noteworthy as it results in encouraging the Gram Panchayat to work harder for successfully and efficiently running the R. O. Plant. 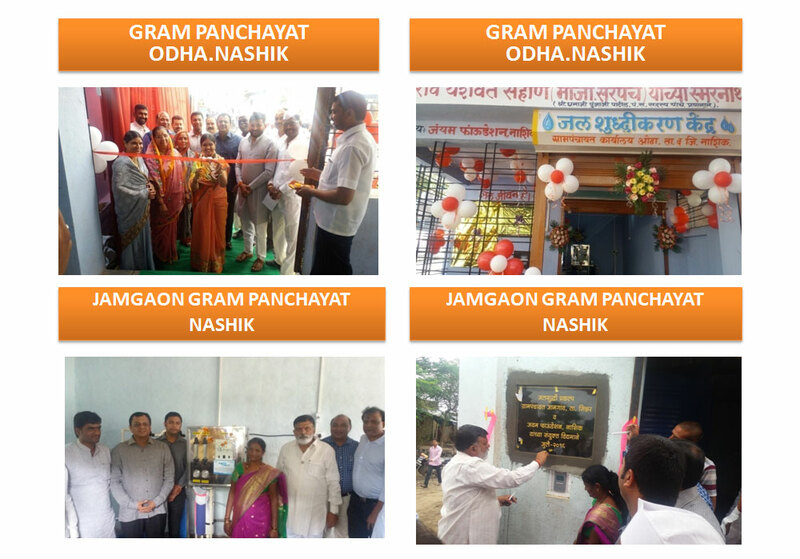 At the same time the Foundation takes another step in making the Gram Panchayat self reliant. One can imagine the stupendous importance of the project of the Foundation. The improved health of these people will ultimately result in the increased number of working hours. 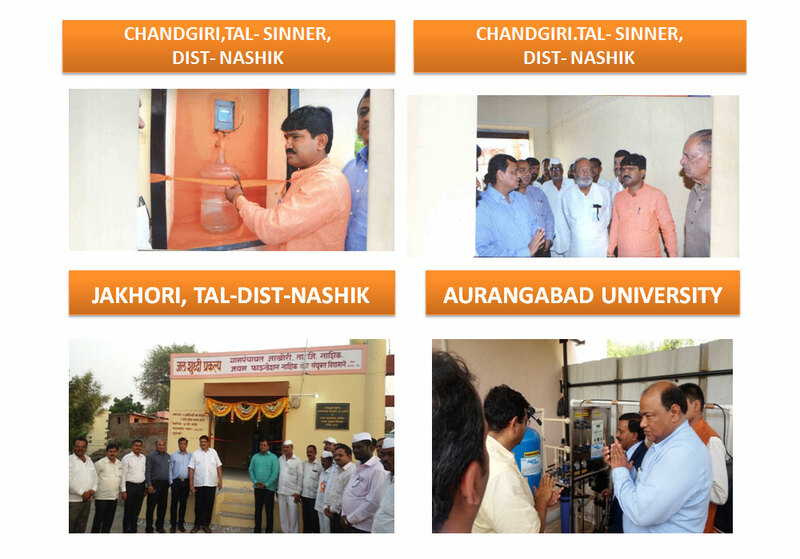 This will ultimately lead our Gram Panchayats actually towards Self – Sustenance. and build a strong nation! Jayam Foundation has a systematic strategy for R. O. Plant through systematic stages. The varied stages, their significance and follow up can be traced as follows.